Out of yeast and not eager to run to the store for more? Here's how to make an effective and inexpensive yeast substitute. You'll need baking soda, lemon juice (buttermilk or a mixture of milk and vinegar will also work), and double-acting baking powder. When you combine yeast, flour, and water, sugars are released and consumed by the yeast, which in turn releases carbon dioxide. It's this carbon dioxide that's responsible for making bread rise. You can create a similar carbon dioxide release by combining baking soda with an acid. Some recipes, like biscuits, already rely upon this. If you want to successfully substitute the yeast called for in a recipe, you just need to swap in the right amount of baking soda and acid to make the dough rise. You can use lemon juice, buttermilk, or milk combined with equal parts vinegar as your acid. Add all the ingredients according to the recipe. Then, add equal parts baking soda and lemon juice to equal the amount of yeast called for in the recipe. So, if the recipe calls for one teaspoon of yeast, you need to add a half teaspoon of baking soda and a half teaspoon of lemon juice. Buttermilk or a 50-50 mix of milk and vinegar can also be used in place of the lemon juice. Bake as usual. The dough doesn't need rise time when you're using baking soda and lemon juice in place of the yeast. In fact, for the reaction to work properly, it's important to get your dough in the oven as soon after you've added these final ingredients as you can. Tip: For the best results, use fresh baking soda. Baking powder is made from baking soda and an acid (cream of tartar), so it'll also give you the carbon dioxide reaction that you're seeking. For the best results, replace the yeast called for in the recipe with an equal amount of baking powder. Double-acting baking powder will give you the best results. It releases carbon dioxide twice—first when it is mixed with the liquid ingredients in the recipe, and again when it is heated in the oven. While these substitutes will make your dough rise, they're just not the same as yeast. 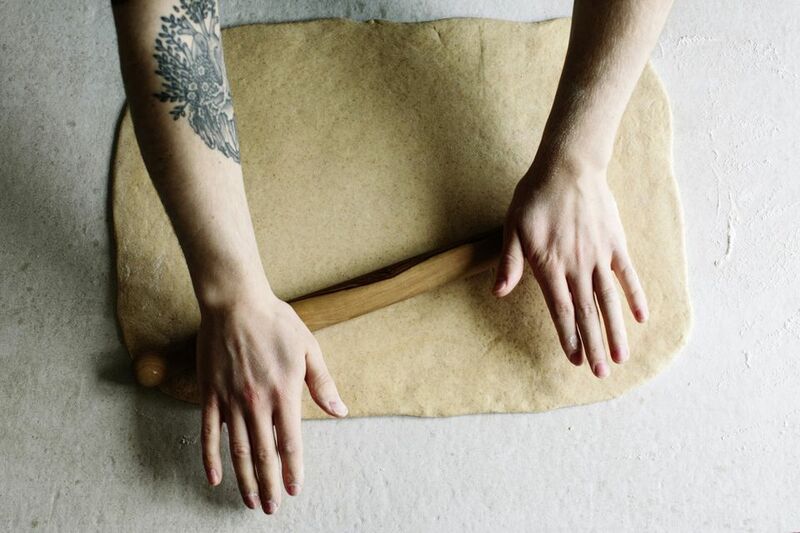 Your dough may not rise as tall as you're used to, and you may also notice differences in flavor and texture. Still, if you're out of yeast, don't have time to wait for bread to rise, or are trying to cut yeast out of your diet for health reasons, these substitutes are certainly worth exploring. If you prefer to stick to tried-and-true recipes, instead of altering recipes yourself, search for quick bread recipes that don't call for yeast.